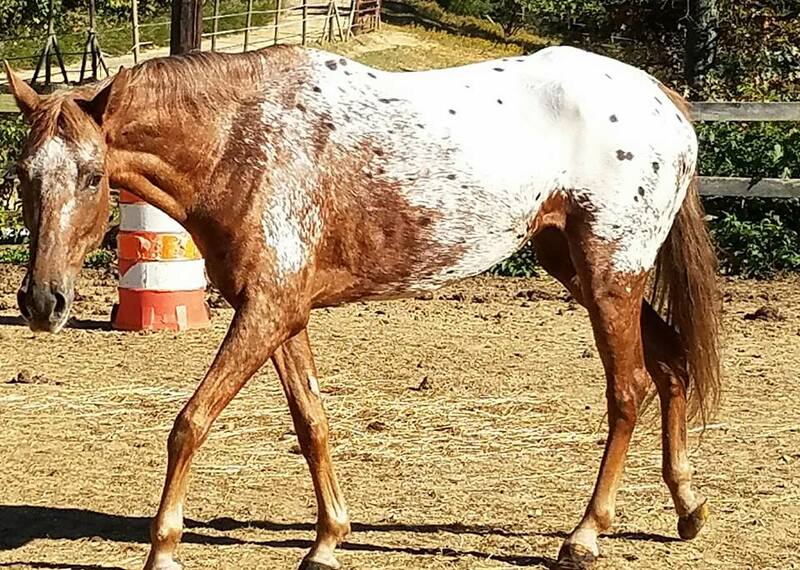 On February 26th 2016, Nattoway County Sheriff’s Department seized 42 horses and 15 dogs from Ravenswood horse farm for reports of abuse and neglect. Sadly, just months before 11 of those horses were part of another seizure at a farm in a neighboring county. 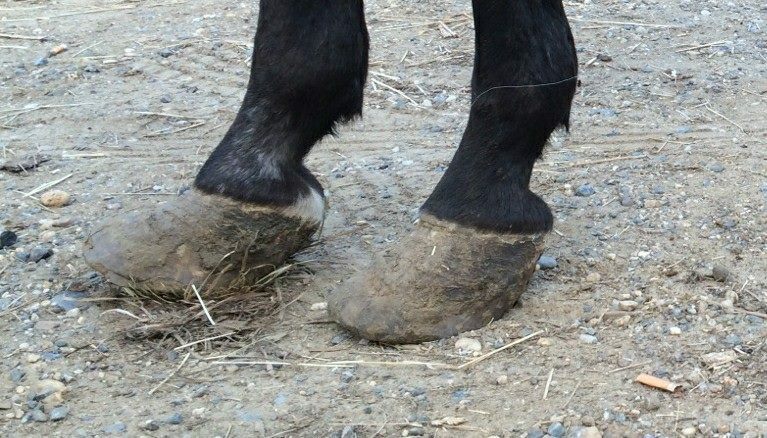 The condition the horses were found in was horrific. There were four (4) deceased horses and 1 deceased dog found in the fields with the remaining survivors who were all suffering from some degree of malnutrition and many of them were suffering from chemical burns on their backs, necks and ears due to undiluted cattle pesticide poured on them in a misguided effort to treat rain rot. The horses were subsequently signed over to multiple humane organizations in Virginia including Central Virginia Horse Rescue. 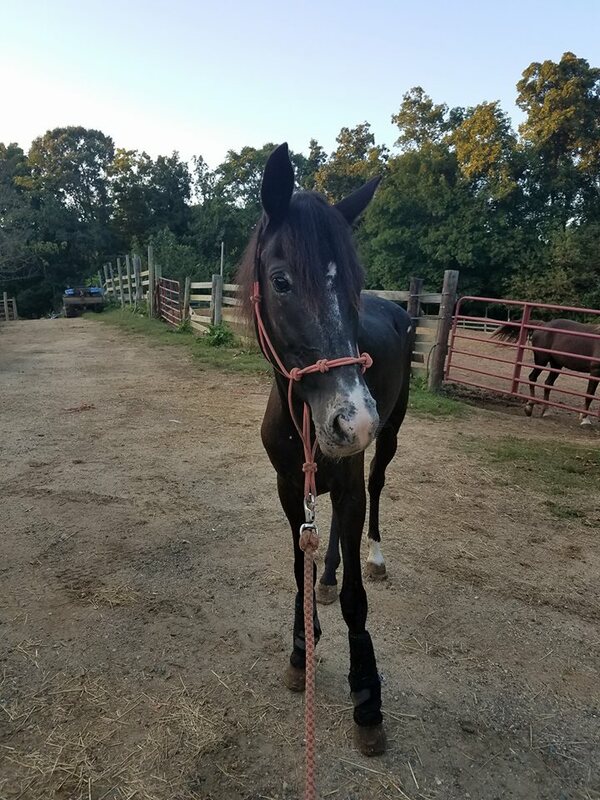 Two of the 19 horses Central Virginia Horse Rescue received were Naima and Pandora who were malnourished and suffered from significant neglect. They had chemicals burns over the majority of their body which resulted in giant open sores. Their sores were infected and covered in maggots. These mares along with the majority of the horses seized were in desperate need of veterinary care. 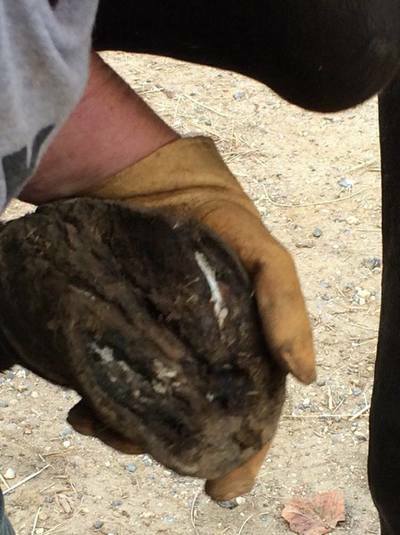 All of the horses received medical care and have recovered from their physical wounds. 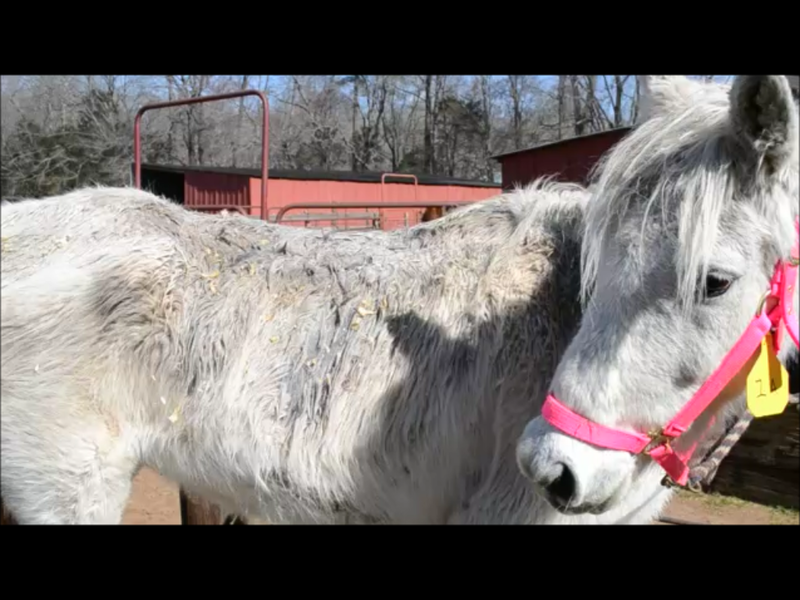 The chemical burns have left marks on the backs, necks and legs of the grey mares. 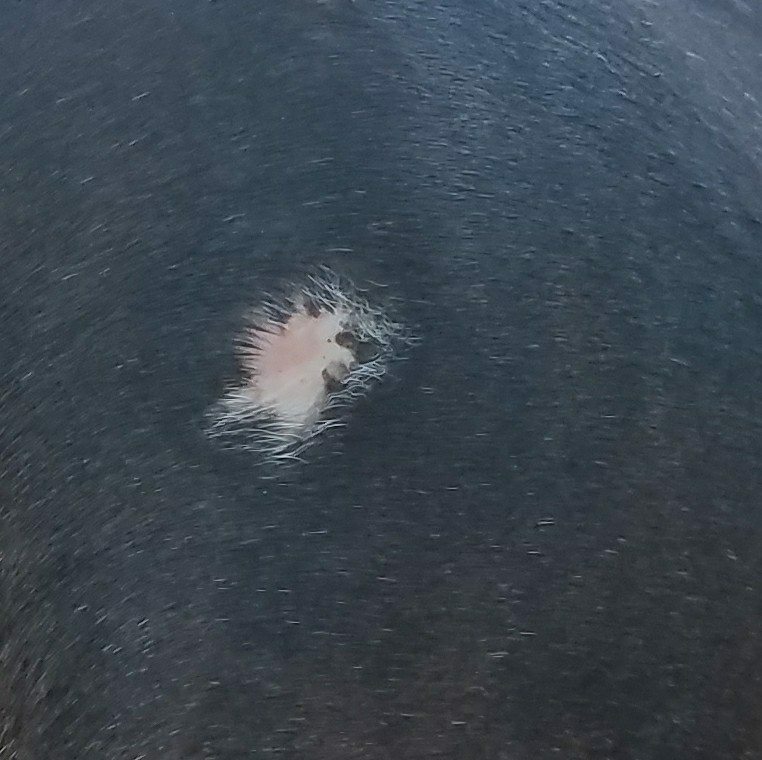 While their hair grew back, they all have visible scars that resemble sweat patches where they were chemically burned. As a result of the seizure, the owner of the farm was charged with 26 counts of animal cruelty, including 4 felony charges for the deceased animals found on the property. After a three day trial, the farm owner was found guilty of all 26 charges. She was sentenced to a year in jail and is no longer able to have animals in her possession. 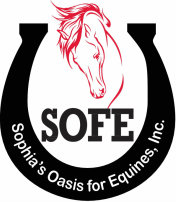 In partnership with CVHR, SOFE took in both mares. 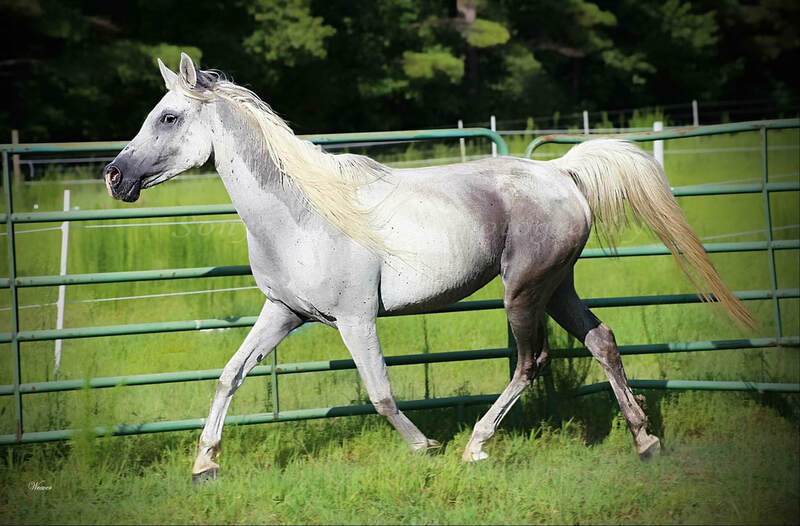 Pandora is a 7 year old Arabian mare and Niama is and 11 year old Arabian mare. They both have overcome their fear of people. They spent their first year with us socializing with a new herd and with people. 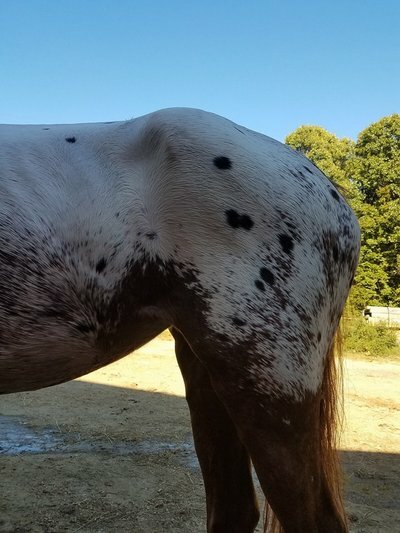 They also were seen by a massage therapist, farrier, dentist, vet, and chiropractor while establishing a training program for them. Both Pandora and Niama have sweet dispositions but as Arabs they have each developed their own diva personality. They really like to show off when turned out in the fields. They both have big hearts and are quite flashy. They have not had an easy start in life, but they are willing and eager to please. Pandora is very much an in-your-pocket girl and is always alert and investigating what you are doing. She is full of personality. Niama is amazing and a pleasure to watch with her ground work. 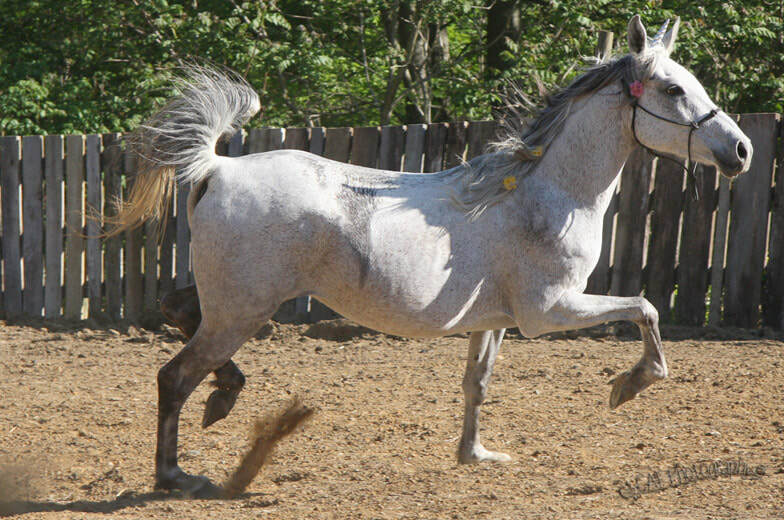 She has the build of a true Egyptian Arabian mare and doesn’t mind strutting her stuff. The story of Lilly is one I will likely never forget. 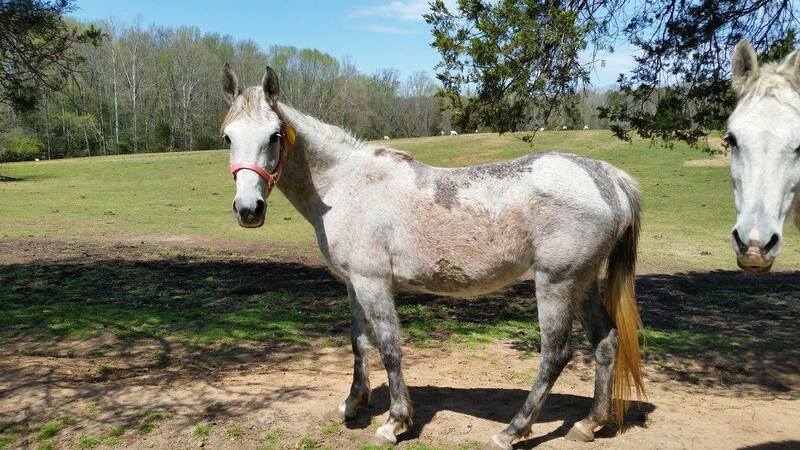 My daughter saw a plea online for a beautiful 12 year old Arabian mare. She was said to be a former broodmare. With tears streaming down her face (and her father commenting from the next room that we already had enough horses), she told him, "I dont even need to keep her. I just want to SAVE her!" And so she spent every cent of the money she had earned from pet sitting to pull this horse. 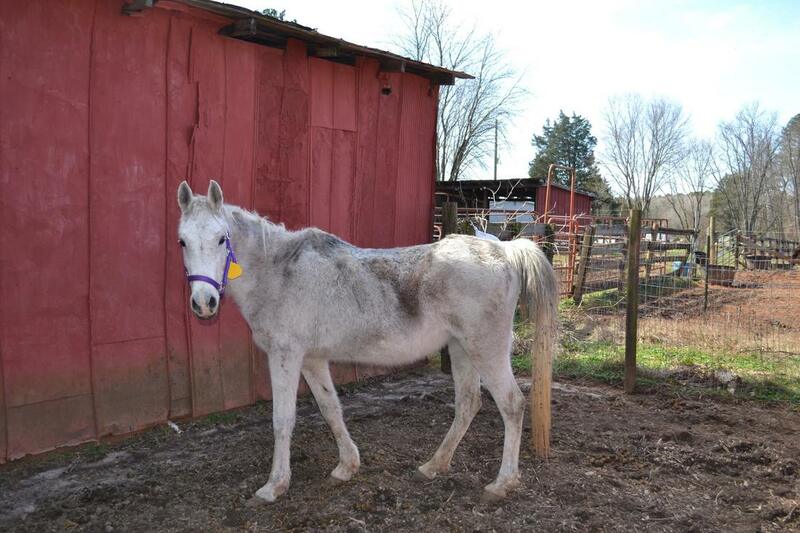 A horse we would never have imagined would lead us to a local rescue that we hadn't even heard of. Finding this rescue would be a life changing experience for Lilly, and for us. We traveled to pick Lilly up from a quarantine barn. She was quiet and loaded peacefully. She was so sweet. In hindsight, I believe she was probably given some sort of sedative shortly before we arrived. Trust me, it definitely wore off and we were faced with a terrified horse who had no interest in trusting humans. Keeping true to the plan, we placed Lilly with what we thought was a reputable group. Shortly thereafter, Lilly colicked. After spending a few days at a clinic, she was dropped off to a trainer. (Mind you, no down time, just another unfamiliar situation for this poor mare to deal with.) I didn't believe that was the best scenario for Lilly, but we had already placed her. We were then told that the trainer said she was dangerous, and that she should be put down. I was not going to allow them to give up on this terrified horse so quickly. How would I explain this to my daughter? Setting an example for my child to give up on a life, before she ever even had a chance, was not an option. The choice was clear. We took her in. So much for "already having enough horses." The next month was spent gaining Lilly's trust. She would eventually be haltered, lead, be groomed and bathed. She was coming around! Still always wary, this horse made a little progress, every day. Months passed and we grew to love this gorgeous mare. Then, one day, what seemed to be the sum of all her fears, reared its ugly head. Completely out of the blue. To say I was shocked by the events that followed, was the understatement of the year. I was removing her blanket before turning Lilly out that morning. Just like I had done countless mornings before. But this was the day that the belly strap of her blanket slipped from my hand, hitting her on the rear leg. I watched the terror in her eyes as she completely exploded. She kicked, reared and rushed the stall door. I had to literally climb out of the stall, or be killed. Once on the other side, I was trembling as much as she was. I reached over and managed to remove the blanket with shaking hands. And then she was fine. I, on the other hand, was traumatized beyond words. What if my daughter had been the one taking her blanket off that morning? 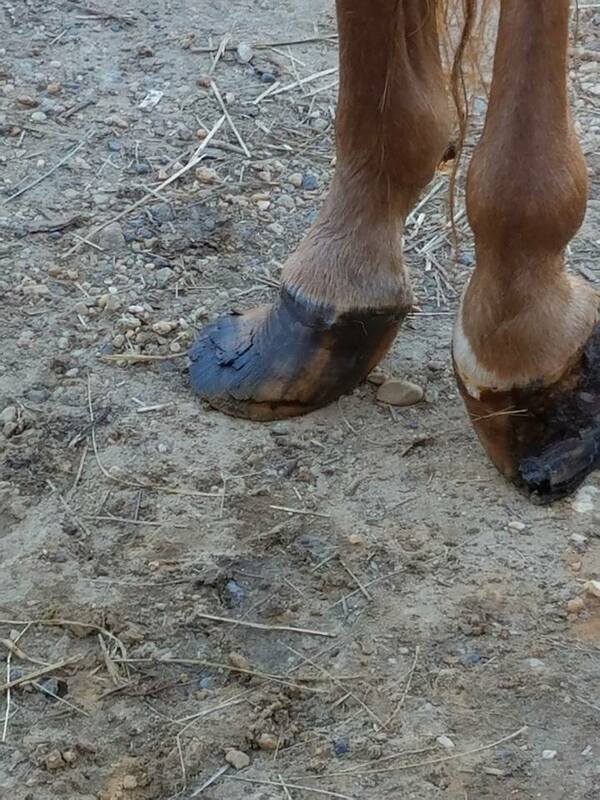 I immediately knew that whatever had damaged this mare had to have been devestating for her to endure. I knew that helping her heal from whatever abuse she suffered was out of my capabilities. But I also knew that I would not let her end up back on the auction circuit, or perhaps the slaughter pipeline. There had to be someone who could help her. By some unexplained stroke of luck, I was referred to SOFE Rescue. They were said to be the last chance for horses. The final stop before being tossed away like a piece of trash. They took in the worst of the worst. Well, this was certainly the worst I had ever encountered. But I knew Lilly just needed a chance. I still refused to give up on her, when everyone else had already done just that. Without question or hesitation, SOFE came to pick her up. I knew this was what she so desperately needed. And, so began Lilly's journey to becoming a REAL HORSE. I visited her often and watched the training process. The trainers at SOFE were amazing. I even got updates that warmed my heart. One in particular, was a picture of the VP's daughter sitting on top of a tack box outside of Lilly's stall... reading her a story. My heart swelled. What an incredible place for a horse to land. Many months of training had passed. SOFE was in no hurry to adopt her out. In fact, a majority of their horses were long term residents, all somewhere on the training spectrum. Some came around quickly, some, not so much. Of course, Lilly was definitely on the "not so much" end of that spectrum! No horse would leave until the training was complete. Period. Lilly took eleven months. No one rushed her. She was solid. There were no holes in her training. To my delight, Lilly had achieved every goal I had hoped she would. She was under saddle. She had her first ride scheduled in the next few days. She even had a pending adoption contract in on her! I was overjoyed that this once terrified little mare had blossomed into the horse that God intended. My desire was for her to become a REAL HORSE; to do everything any other horse could do, without the debilitating fear that once held her hostage. Without this chance, Lilly would never have had a chance. As much as we all rejoiced in Lilly's transformation, it was not meant to be. Lilly suffered an extremely bad case of colic. The board members of SOFE were up with her, around the clock. She was treated by the vet and seemed to be better. Sadly, she took a turn for the worse. Jackie, SOFE's VP, called me in tears. She had to make a decision. And we both knew what the humane answer was. I decided that I wanted to remember our Lilly alive and vibrant. Jackie stood by as she drifted over the Rainbow Bridge. Never have I witnessed a rescue display that amount of dedication and care. We were all so deeply hurt by Lilly's passing. Her story was one of complete and total transformation. It was a testament to the gifted trainers at SOFE. It was proof that no horse in unreachable. You just need to know how to reach each horse. And reach her, they did. Sienna and Senora were surrendered by their owner to SOFE. Their previous owner purchased these 2 horses as weanlings for their grandchildren. This owner had very little, if any, knowledge of caring for the horses. Their diet consisted of only sweet feed. In the beginning, the horses had pasture and a 2 stall small enclosure. Life was good. After a severe storm, the fence was damaged. The horses were kept to the 2 stall enclosure with little turnout area until the fence could be repaired. Then the owner got sick. As he battled an illness, the fence never was repaired. The horses became neglected. As the horses grew, they began to have disagreements in the small enclosure, so one was locked in its stall where it remained for the next 2 years until we came along. When the owner finally passed away the spouse contacted us. The conditions that we found were awful. They were kept in a small fenced area with two stalls inside. Because of the way they were housed their growth was stunted and both had trouble walking. 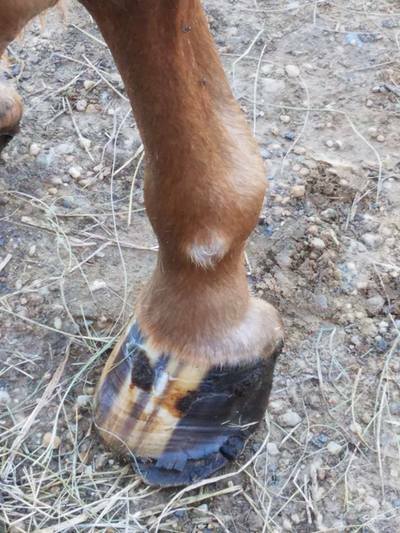 Neither horse had been handled much nor had they received any farrier or vet care in years. Their hooves had become severely misshapen and deformed. They both had mobility issues but one was significantly worse off than the other. Since neither horse had been handled more than to be haltered, we had our work cut out for us. We arrived at the residence with a group of volunteers and started to assess how we were getting these poor girls on the trailer. We backed the trailer up to the fence and began our endeavor. The one with the most significant mobility issues was the easiest to load. While it took a couple of hours she loaded on the trailer. We open the stall and release Senora for the first time in 2 years. We tried for hours to get her on the trailer but with the issues with hooves, mobility issues, and her fear of the trailer it took over 48 hours and lots of volunteer labor. We determined that Senora was not refusing to load but physically could not support her weight to step up in the trailer. We moved the trailer to a hill to create a ramp flush with the ground so she could just walk in. The weakness in her legs still prevented her from loading. She was quiet literally walked step by step up on to the trailer by a volunteer lifting each leg for her with each step. There were a lot of kicks and escape attempts but they were both brought back to SOFE and placed in a round pen to evaluate and settle in. Both girls were seen by the vet, the farrier and a massage therapist. We used the collaboration of information to construct their rehab programs. Senora the one kept in a stall is well on her way to recovery. 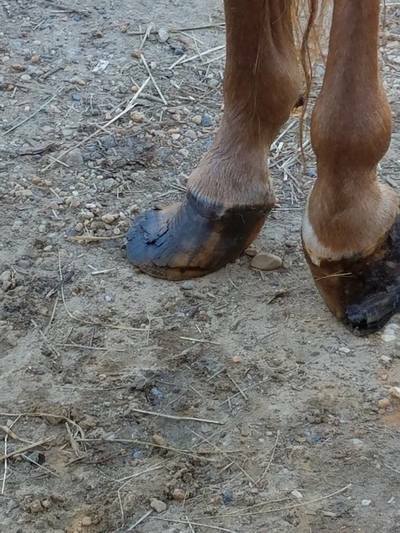 Her hooves trimmed and on the mend. She has put on weight and learning to be part of a herd. 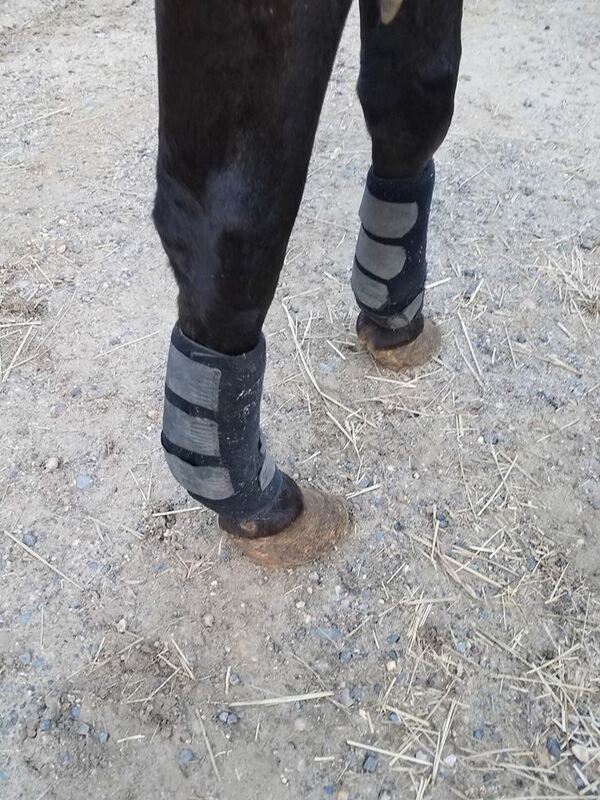 Right now we are focused on letting her be a horse and recover physically. She is making friends and thriving with her new found freedom. She is still very stubborn, but is very curious and engaged with us. Sienna is more of a severe case and her future is uncertain. She continues to be under vet and farrier care as we try to correct years of neglect and the damage that was done. 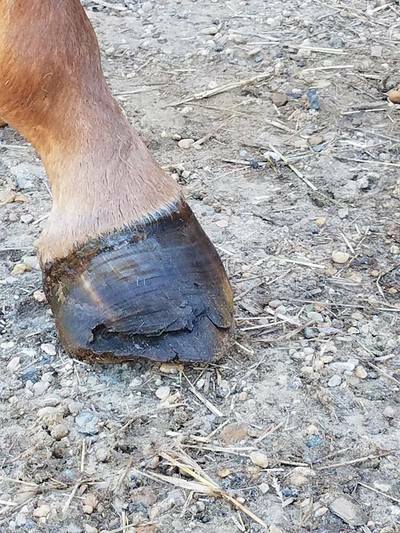 She has a number of issues that we are working with our vet and farrier to fix. At this time we are managing her care but she is not pain free. We will continue her rehabilitation under the direction of our Veterinarian and follow his recommendations. The moral of this rescue story is education. We do not believe that this elderly couple intended for any of this to happen. Life happens, but this is not an excuse. Reaching out for help when the situation started to decline would have been a respectable and responsible decision. All animal owners, whether large or small need a plan in place for their animals just in case something happens to them. 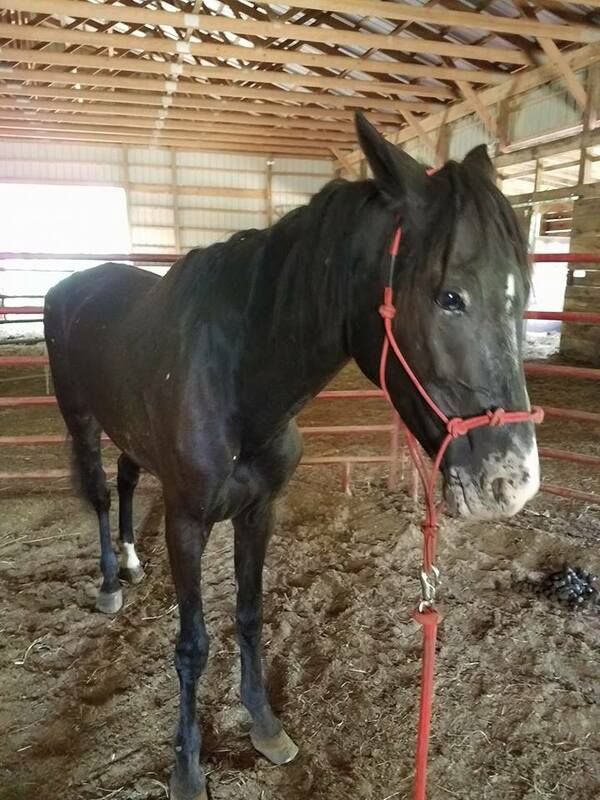 Part of our adoption process ensures that the potential adopters know what is required to maintain a horse, including information on health care, nutrition, and contacts for local Veterinarians and Farriers. We as a rescue are always available to our adopters and the public for any questions, concerns, or even if they just need help. We are the second option for horses in our area and strive to help in any way we can without judgment.